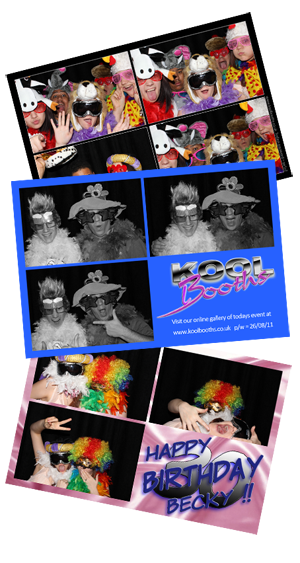 It makes sense to hire direct from one of (IF NOT THE) most prestigious PhotoBooth Manufacturers in the UK today. We are taking the wedding, corporate event and party markets by storm, our Photo Booths are commonly quoted as the most stylish available. To look at samples of what we can offer YOU for your occasion, just flick through the images on our website- they’re ALL of OUR Photo Booths! With experienced staff who know just how to get the very best out of your photo booth experience, serving YOU the customer is our speciality. To ensure you & your guests receive the best photo booth experience available, we provide a range- from in house photo print graphic design to custom memory albums. 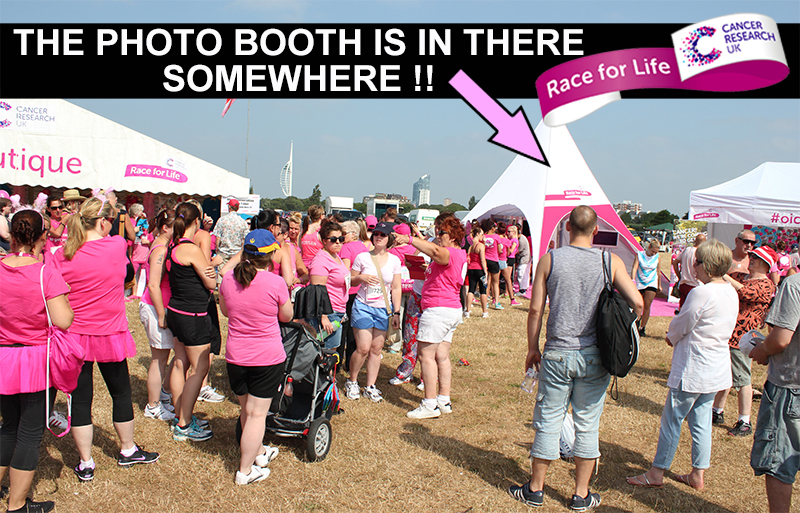 Our local area is Cambridge photobooth hire, Bedford Photo Booth hire, Peterborough photobooth rental and Milton Keynes Photobooth Hire although we do travel all over the UK and have previously been seen on the south coast as well as way up north. 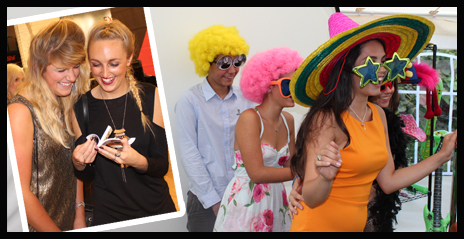 We use genuine 'ULTIMATE PHOTO BOOTHS' Demand the BEST for your occasion ! As well as our stylish, modern photobooths, we also have available Flip Book Photo Booth, Chocolate Fountains and a selection of party foods that we can supply. If you are thinking of booking several products, please get in touch as there are some great deals to be had. 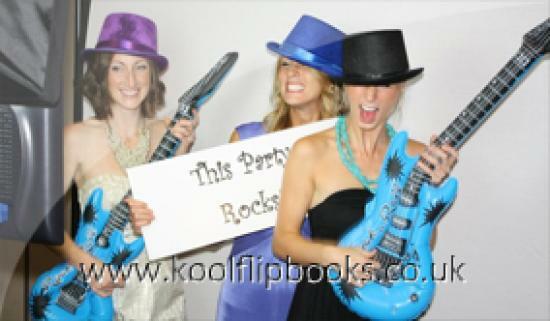 Flip Books Photo Booths are a great alternative to conventional photo booths. Instead of going into a booth, guests are invited to shoot a 7 second video in front of a backdrop within our mobile studio and then the magic really happens ! Within 45 seconds, YES just 45 seconds we have turned that video into a personal Flip Book that your guests will be showing off to everyone. Chocolate fountains are the old favourite that never go away. We use the very best Belgian Chocolate available on the market and can supply various dips ranging from the exotic right through to doughnuts! Whether it is milk, dark, white or coloured chocolate that takes your fancy, we have it covered. 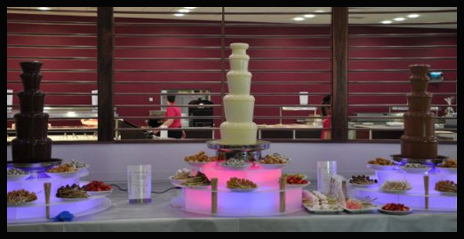 We can even colour co-ordinate your chocolate fountain to the various colours available on the booths. Our party foods are as much fun as you would expect and are a great addition to any event alongside the entertainment. 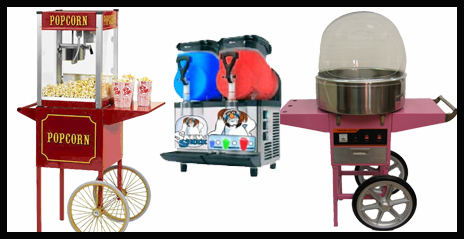 Whether it be Popcorn, salted or flavoured or Candy Floss in various colours and flavours of the Slush which again can be coloured to suit your theme or decor. 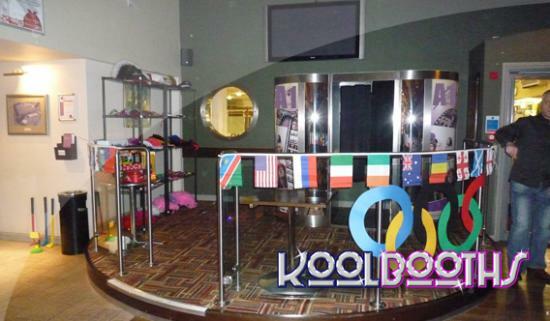 Stunning Contemporary Photo Booth Hire: Forget the cheap, mass produced aluminium/ wooden fragile booths sold elsewhere, we are regularly told that that our fully customisable stainless steel booths are top of the market today. Colour, B&W, Green screen or Video: We offer a variety of options, so you can choose exactly how you want your photos or video messages. Unlimited Prints: Keep your guests coming back again and again- we love it! They can keep their own copy of the prints, and the other is secured into a Memory album so you’ll have a complete record of the evening. Free Full Size Downloads: Download EVERY poster sized image for FREE after the event, from your own password protected album! Props: We supply more props than you can shake a snap at! Keep your guests returning time after time. In House Graphic Design: Be it on the prints or a full booth exterior project, we are here to take care of all of your personalisation needs. We are currently providing photobooth rental in Cambridge, Bedford, Peterborough, Northampton, Milton Keynes, Leighton Buzzard, Luton, Stevenage, St Albans, Hatfield, Harlow, Kettering, Corby, Enfield, Watford, Hitchin, Baldock, Newmarket, Bury, London, Birmingham, Coventry, Stansted, Liverpool and Manchester, in fact the whole of Cambridgeshire, Bedfordshire, Bucks, Northamptonshire, Hertfordshire, Essex and Suffolk.